As the pressure mounts on Congress to pass gun control legislation in the wake of the Las Vegas shootings, members of the Idaho congressional delegation are noticeably silent on the gun control discussion! Understand what’s happening here. 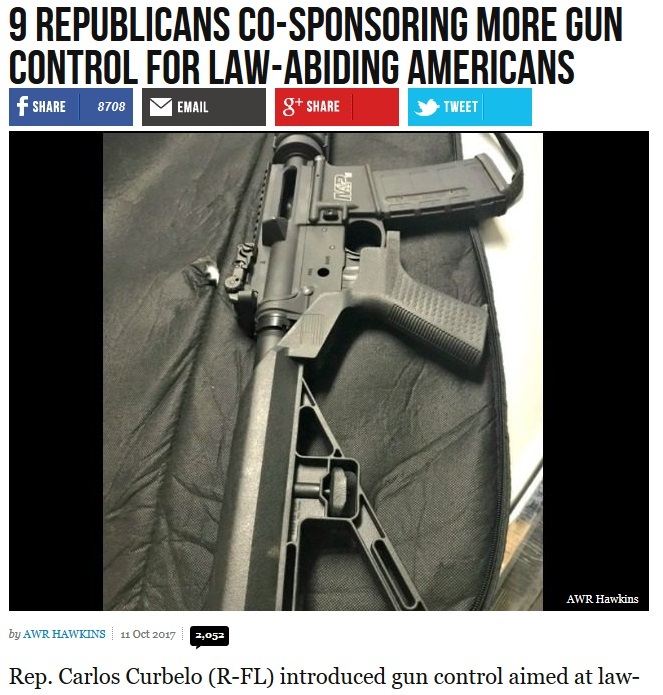 The radical gun-control crowd is attempting to use bump fire stocks as their Trojan Horse for a much more expansive gun-control bill. So it doesn’t matter if you like bump fire stocks or not, this political battle has nothing to do with these gimmicks, and you need to make sure Idaho’s congressional delegation understands that. And that is making it easier for legislators in D.C. to get away with abandoning gun owners in an emotional rush to ‘do something’ in response to the Las Vegas shooting. Here in Idaho, our Congressional delegation have not released any statements specific to the so called “bump stock” ban being proposed, leaving Idahoans wondering where they stand! I don’t know about you, but I’m sick and tired of the radical left always trying to blame you and me for the action of a madman. And we all know that the moment the gun-control crowd thinks they can pass a bump stock ban through Congress — the moment that we concede — they will go for even more, as they always do. That’s why we can’t give an inch, and that’s why Idaho’s congressional delegation needs to hear from you RIGHT NOW! Your message is very simple: gun owners in Idaho will not support any gun control of any kind, and we will hold any legislators who vote for it accountable. So please make sure to contact them right away! And when you’re done, please become a member of the Idaho Second Amendment Alliance. It’s really simple: we don’t cut deals, we don’t back down, and we don’t make excuses for politicians. Ask anyone in the Capitol. As we continue our push for Stand-Your-Ground in Boise, we need all hands on deck to also help battle gun control in Congress. So please get involved right away! Meantime, help us keep the pressure up on Idaho’s congressional delegation! P.S. Members of the Idaho Congressional delegation are noticeably silent on the gun-control bill in the wake of the Las Vegas shooting. They all need to hear from you right away! This gun control bill in D.C. has nothing to do with bump fire stocks, that’s merely a Trojan Horse for a much larger gun control bill! Contact your legislators using the information above, and then get involved with Idaho’s ‘No Compromise’ gun rights group right away!